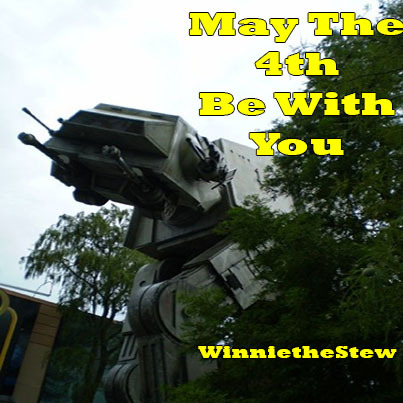 Every year on May the 4th, fans of the Star Wars franchise celebrate their love of the series. The Disney Store locations throughout the US are getting in on the fun today and offering some family friendly events. The first 100 guests at each store on May the 4th will receive a limited edition Star Wars Pin. New Star Wars merchandise will be also be introduced, including talking action figures. These are all fun activities in which Yoda would definitely approve. * Put on some music from the film and have a lightsaber battle. If you do not have the lightsaber toys, pool noodles work as excellent stand ins. * Costume fashion show! Dress as your favorite characters and have an in-home parade! * Host a movie marathon. Make some popcorn and dim the lights for an evening of pure Star Wars magic! *Get out those Star Wars Lego kits and build your own movie set. Film some scenes with your phone and create your family’s own version of a Lego Star Wars movie! * Support your local comic book stores. Most are holding their own May the 4th events today. Check to see if there is one near you and have a family day. Wishing you the very happiest May the 4th. This entry was posted in Disney Shopping, The Disney Store, Uncategorized and tagged Disney Store May the 4th Activities, How to Celebrate May the 4th, May the 4th, May the 4th Disney Store. Bookmark the permalink.